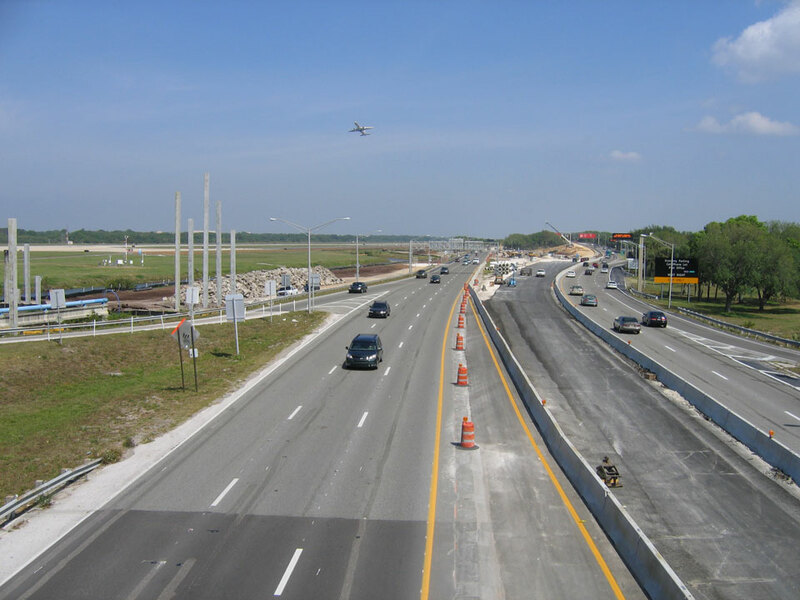 KCCS was part of the team that provided CEI for this 3-mile construction project consisting of SR 60/Memorial Highway from I-275 to the Courtney Campbell Parkway interchange, in the vicinity of Tampa International Airport. The project also extends west 1 mile onto the Courtney Campbell Parkway (SR 60) and north to the Veterans Expressway (Toll 589). This entire project is known as the Tampa Airport Interchanges project or Links. The Spruce Street/SR 60 interchange was improved to a four-level interchange, and the Courtney Campbell/SR 60 interchange was improved to a three-level directional interchange. This configuration eliminates SR 60 traffic signals within the Courtney Campbell interchange and on the causeway at the Hyatt hotel entrance (Bayport Drive). It also provides a two-lane frontage road system for access to the Hyatt property. The new interchange configuration features the separation of local and express traffic with collector/distributor roads and express lanes. This system is also expected to help reduce congestion on the interstate ramps within the area and improve access to Tampa International Airport.